Tapu Koko Guards the Land! 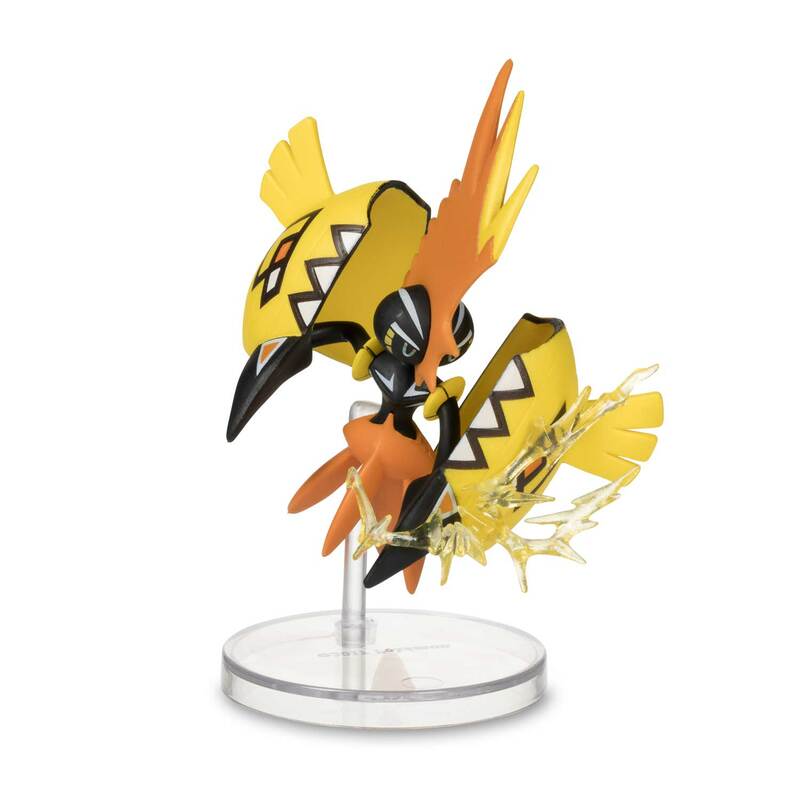 Tapu Koko is one of the guardian Pokémon of the Alola region, with a deep connection to the land itself! 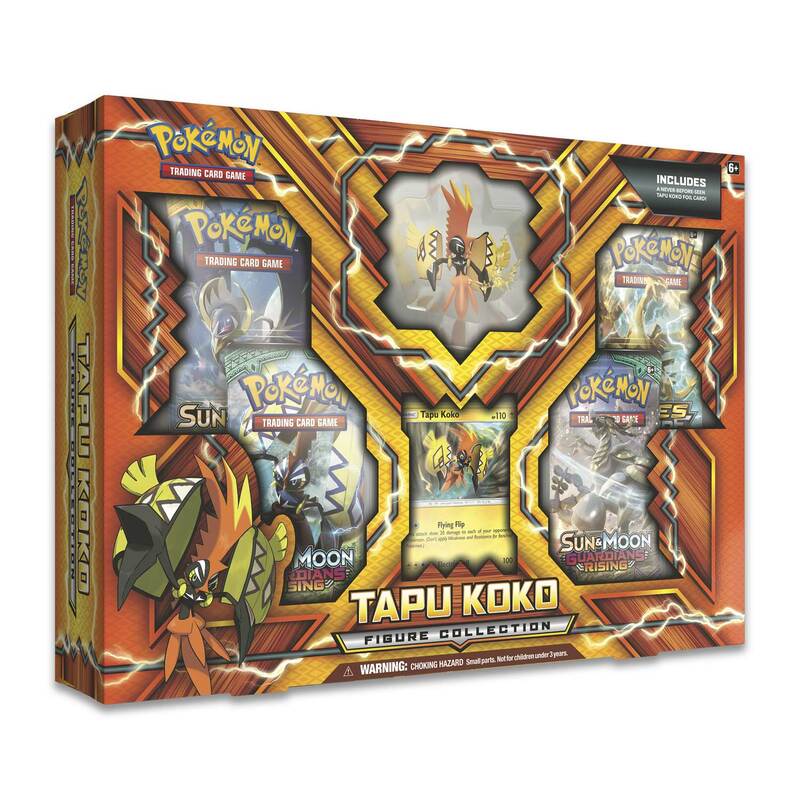 With the Tapu Koko Figure Collection, you get Tapu Koko both as a wild sculpted figure and as a never-before-seen foil promo card. Stand ready to guard the islands with Tapu Koko! 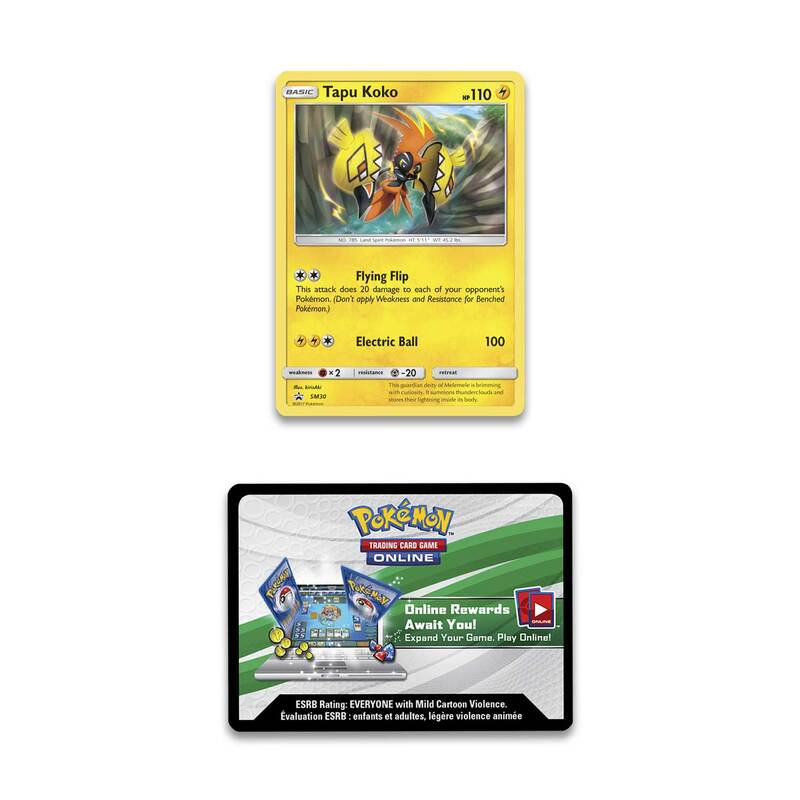 1 foil promo card featuring Tapu Koko! 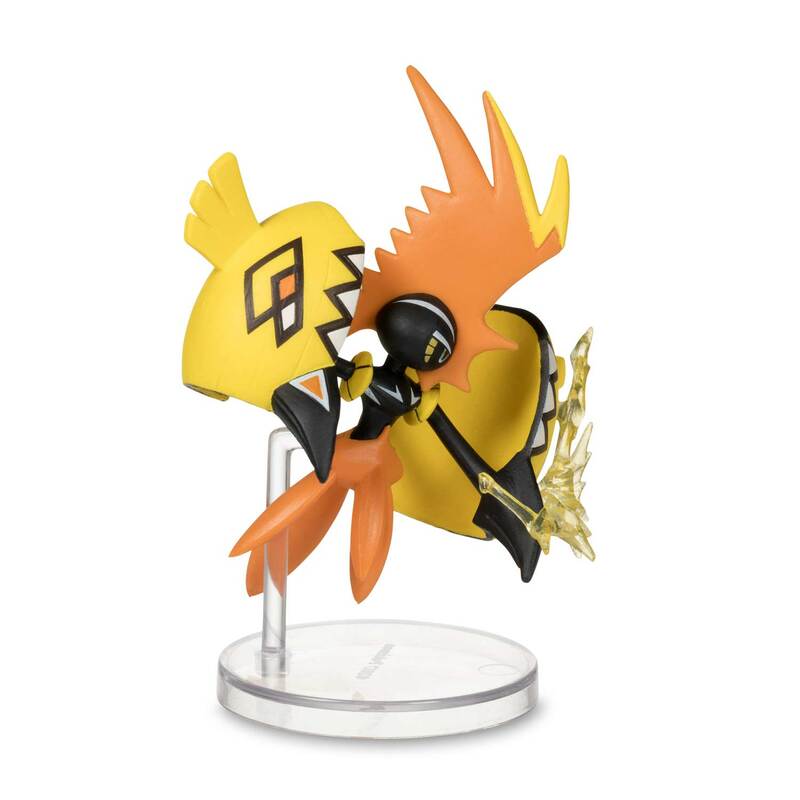 1 sculpted figure of Tapu Koko!